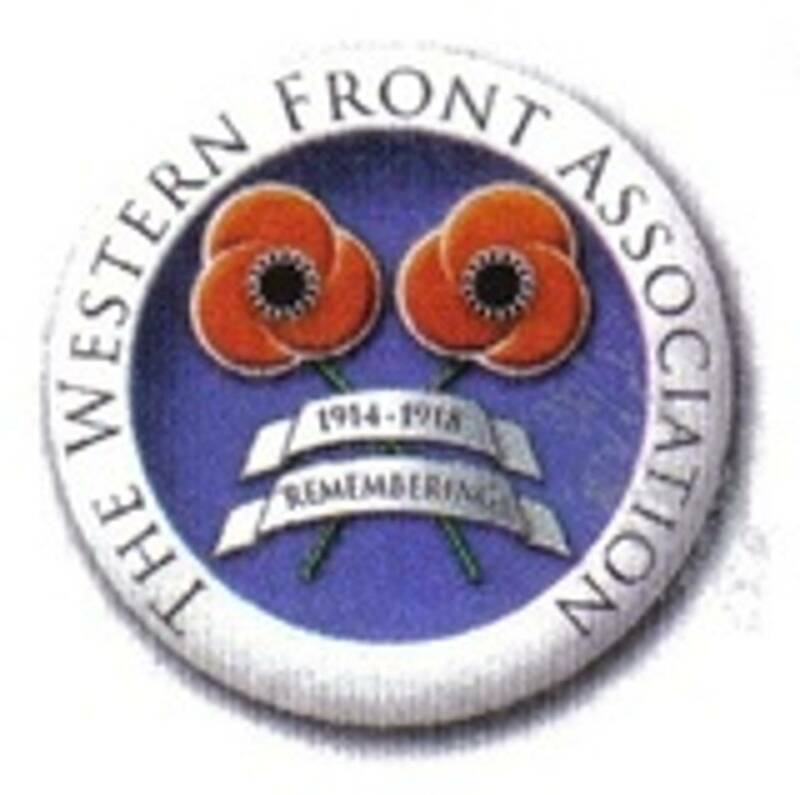 Dublin Western Front Association - Mothers of the Missing. The 30,000th sounding of the Last Post at the Menin Gate on July 9th 2015, reminded historian and author Dr Viv Newman of the unveiling ceremonies held in Ypres on July 24th 1927. In an article for Centenary News, Dr Newman explains how one very special group of pilgrims attended the unveiling. Drawn from amongst Britain’s poorest women, they were the “Mothers of the Missing” and the citizens of Ypres took them to their hearts. On the evening of 23 July 1927, approximately 700 souls gathered at London’s Victoria Station. Many had travelled the length and breadth of the United Kingdom to embark on a solemn pilgrimage. Despite the intense heat, the majority wore black, most had medals pinned to their right breast, a number clutched a child’s hand. Drawn from amongst the poorest of the poor, these predominantly female pilgrims were, thanks to the St Barnabas Society, about to undertake the journey of a lifetime. This society, whose watchword was “Consolation”, had, for several years enabled the bereaved to visit the cemeteries and battlefields of both the Western and more distant fronts. The founder (Army Padre, Reverend Mullineux MC, himself wounded at Ypres) and his army of volunteer helpers believed that, just as the men who had fallen were equal in death, equal too were those who mourned them. An inability to pay should not prevent the bereaved from visiting his final resting-place. By 1927, having escorted thousands of pilgrims, the Society had believed its mission accomplished and started to wind up its affairs. But, as the preparations for the unveiling of the Menin Gate Memorial to the Missing proceeded, it decided to brace itself for one last superlative effort: to ensure that those whose beloved man had disappeared in the Ypres Salient could participate in the great ceremonial planned for July 24th 1927. Whilst Thomas Cook offered tours to the battlefields and cemeteries around Ypres and indeed the Unveiling at an equivalent cost of around £800 (in 2015) for the ‘basic’ tour and £3,000 for the luxury version, all that the St Barnabas Society required was for the applicant to be ‘genuine’ and that those who could do so write a few lines afterwards to be preserved in the Society’s records. Mrs Susan Hardy, mourning Grenadier Guard Private Robert Hardy (missing since 9th November 1914), told a reporter that she ‘could not have made the crossing had it not been for the SBS' – she lived on ‘a pension of 12 shillings a week.’ The trip, at an estimated cost of £720 per pilgrim, was the equivalent of 15 weeks’ pension. Once assembled, the SBS pilgrims were photographed by the press – many national newspapers commented on these pilgrims’ dignified comportment. With the most elderly and infirm seated in first class carriages (courtesy of the Southern Railway Company), they began their overnight journey to Calais and onwards to Ypres where they arrived on Sunday morning, many holding in their hands little bunches of flowers from English gardens and in their hearts the memory of their long dead, never forgotten, always missed loved one. A cinema owner had generously made provision for the bereaved to use this as their base as no other accommodation was available. Despite subsequently being offered hugely inflated prices for this venue, he had honoured his original commitment to St Barnabas. As the long and emotion-packed day unfolded, many were grateful for his probity. As the dignitaries gathered for the ceremony, so too did the St Barnabas Pilgrims. They were seated in privileged enclosures on the road to Hellfire Corner. Two representative mothers were presented to King Albert of the Belgians. The Times reporter appeared gratified that His Majesty had spoken to Mrs. Emily Shrubsole from Clapham and Essex-born Mrs. Catherine Merriman, ‘for some minutes’. 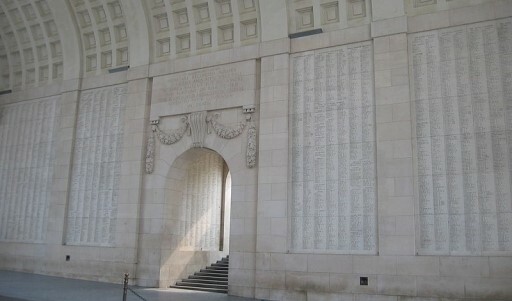 The names of their sons, Lance Corporal John Shrubsole and Privates John and Arthur Merriman were inscribed on the Menin Gate Memorial to the Missing. In a short while these mothers and the hundreds of other pilgrims would see with their own eyes their beloved’s inscription. As the sounds of the ‘Last Post’, the ‘Lament’ and finally ‘Reveille’ faded away after the lengthy commemorations, the moment all the bereaved had been awaiting finally came. Now they could pay their own personal homage to a man who had disappeared over a decade ago. Be he an ‘Old Contemptible’, a Territorial ‘Saturday Night soldier’, a ‘K Man’, a member of a Pal’s battalion or, going against all British tradition, been conscripted, perhaps reluctantly, into the Army, he had become quite simply one of (according to contemporary press) the 55,000 Missing of the Ypres Salient. But he was missing no longer. He was ‘here’. This was his monument. His name would liveth on its panels for evermore. Having been helped to find ‘his’ name, the simple bouquets of flowers, often picked from the gardens or hedgerows of home, were reverently placed by the panel where ‘he’ was remembered. The pilgrims touched and, in the case of many of them, kissed the carved letters that were all that remained of that dearly loved son, husband, father who had strode proudly through the Gate and along the Menin Road, never to return. Dr Vivien Newman is the author of We Also Served: The Forgotten Women of the First World War; (2014, Pen and Sword) Nursing Through Shot and Shell: A Great War Nurse’s Diary (2015, Pen and Sword). Tumult and Tears: Women’s Poetry of the First World War will be published by Pen and Sword July 2016.